I made this to take to my yoga training class yesterday and thought i’d share with you as a book recommendation. It is a guide to opening your heart to fear, allowing space for things that may have been buried deep inside, things you may not even know are there. I started reading it thinking it wouldn’t have a huge affect on me as I don’t have anything deep dark secrets that need light shining on them, however you come to realise that there may not be any big fears or secrets but there can be lots of little hidden thoughts and worries that you didn’t know were there. 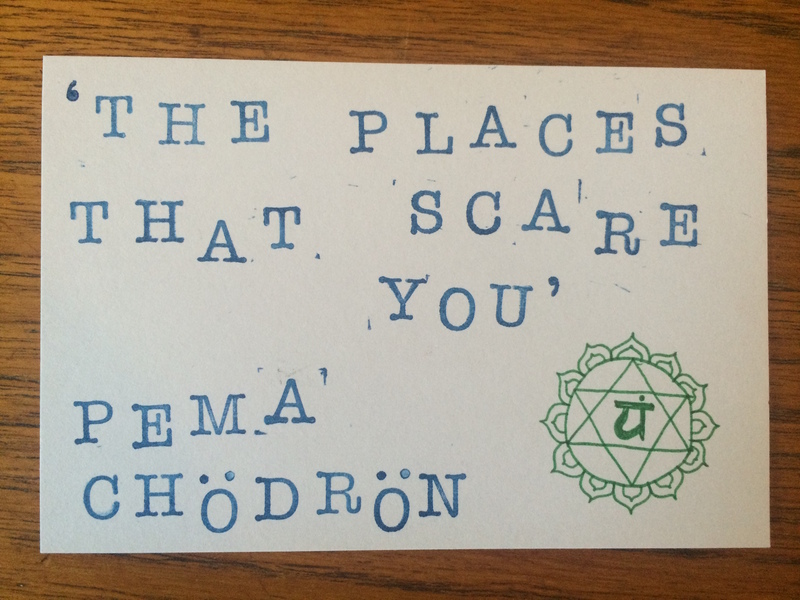 Pema Chödrön has written many books and I would recommend having a look at all her book titles and see which one speaks to you now.